This post is pretty simple and entirely silly. Read at your own risk. If you wish for more substantive writing refer to my previous post Sfinge – A Moroccan Vegan Doughnut. I am obsessed with anything rolled oats and my favorite ingredient around Thanksgiving is cranberries. Since Nordstrom no longer carries my favorite orange cranberry muffins, I decided to bake my own. I found these gorgeous, plump organic cranberries couple weeks ago but had to freeze them since we were heading out of town. They are still such beauties even frozen. This year Sagie, a sophomore in college, is coming home on a bus from UMASS Amherst through Grand Central Station, with three of his English exchange student buddies, one is his roommate. A chance for them to spend and experience the Holidays American style and to tour DC. Am so excited to spoil them with plenty of food whenever I get a chance, when they don't run off to catch up with Sagie's high school friends. On a serious note on this recipe, please read cook's tips at bottom before proceeding to bake these muffins. Loosely adapted from a yummly recipe. Preheat oven to 350F oven. Line both a large and mini muffins trays, dozen muffins each, with paper muffin cups. Mix well all the dry ingredients in a bowl except the last two: cranberries and 1 tablespoon of flour. In a separate bowl mix well the clementine zest and all the wet ingredients except the last two: cranberries and 1 tablespoon of flour. Add the wet ingredients into the dry ingredients, fold 3-4 times with a rubber spatula, it won't be mixed well at this stage. Into the halved cranberries bowl toss 1 tablespoon of flour mix lightly and quickly and add to the batter. Fold the batter few more times until lumpy. Do not over mix. Tablespoon the batter into the large muffin paper cups and teaspoon the batter into the mini muffin tins. Bake the large muffins for 20-25 minutes and the mini muffins for 10-15 minutes. -I add flour to the cranberries so they won't sink to the bottom and will be distributed evenly throughout the muffins. -I like tartness so I used 1 cup cranberries. This recipe will be great with 3/4 cups as well. -With only 1/2 cup honey the muffins will be subtly, even faintly sweet. I would definitely add 1/4-1/2 cups Sugar in the Raw according to taste. -I wished for more of an oaty/nutty taste from the oats so I added 1 cup. You can reduce it to 3/4 cups. 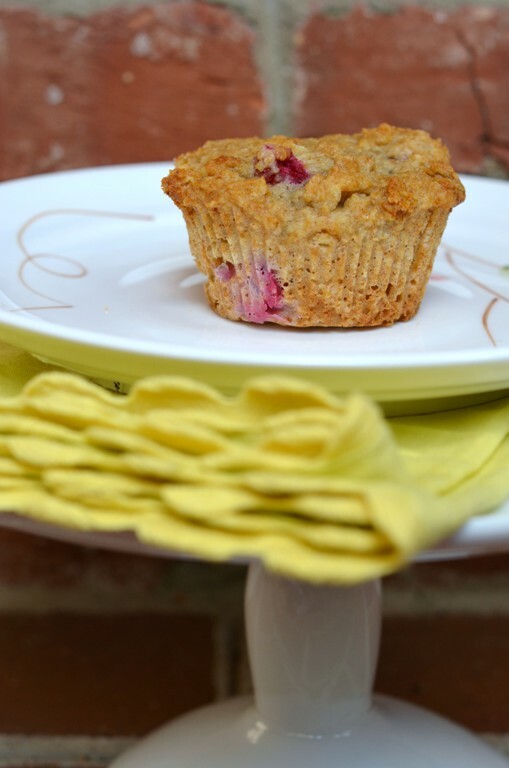 -I usually like to oil the muffin tins lightly and bake the muffins directly inside the tins but it's easier to bake them and giveaway as gifts if they are baked in muffin paper cups. I find they dry out at the bottom more if baked in paper cups so I placed the muffin tray on a large cookie sheet to see if the paper cup muffins will bake better that way. The cookie sheet at the bottom also helps with catching overflowing dough as it rises. 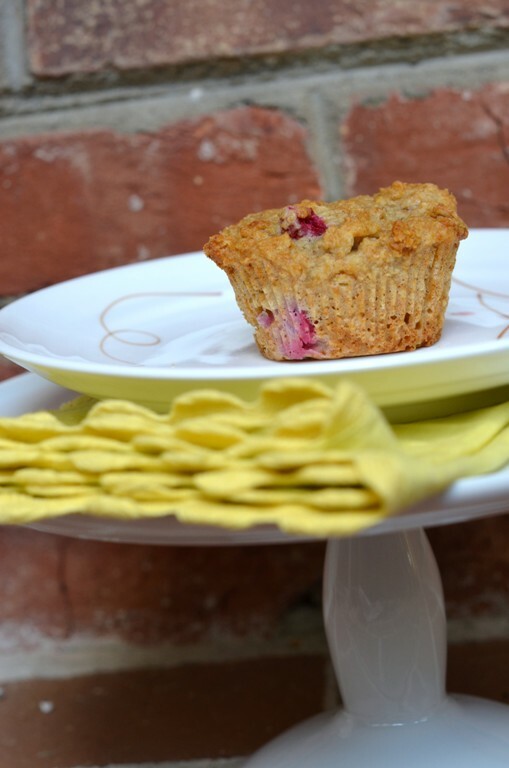 This method helped with keeping the muffin bottom more moist. Related Thanksgiving posts: Last minute Thanksgiving... I wrote in 2009 and you betcha' I am going to pre order those two pies at the Pie Gourmet just to be on the safe side that they won't run out. Honey, Agave, Whole Wheat Sweet Potato Rolls with Flax and Sesame seeds: My Tale of Becoming an American! I wrote a year ago around this month. That's okay. I just love looking at this picture. Beautiful and I can't wait to see them in the muffins! I would love these fresh from the oven. The aroma will definitely wake me up along with my cup of joe. Good for you recreating your favorite Nordstrom muffins - they look deliciously yummy and the frosted cranberries make a beautiful photograph! I love orange and cranberry together...just did a compound butter today with both but they're often in my cranberry sauce and my muffins too. These look perfect for fall. wow shulie, these might be one of the prettiest muffins i've seen. love how the cranberries are peaking out and the flavors of the orange i'm sure complements it so well! ps - what happened to your your apple cake post? Gorgeous, yet again, Miss Shulie! I love this recipe and will be making it as soon as humanly possible!! Delish! You make everything look so incredibly delicious and beautiful through your photography! I want one now! Holy yum! 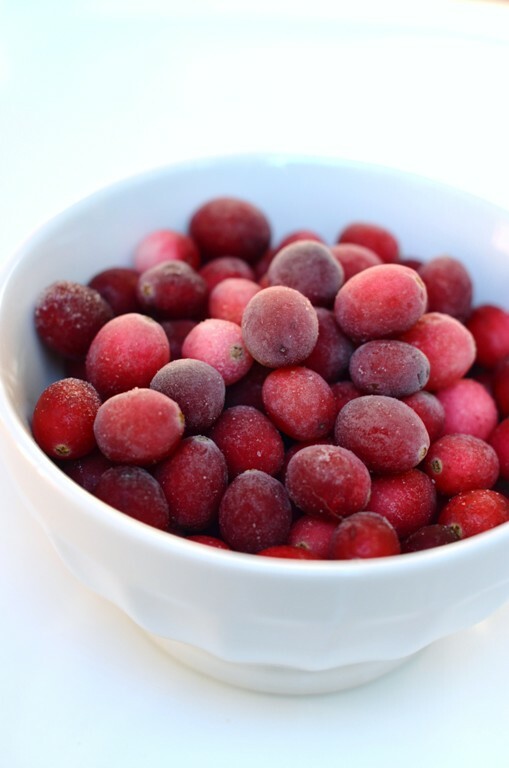 Look at that gorgeous bowl of cranberries! Lovely clicks. Muffins look absolutely scrumptious! Love the pairing of flavors! the combo is looking stunning and too appetizing. I cant wait to try this version of urs in the holiday season.... ! I can't wait to make these! lots of folks look forward to fall for the pumpkin . . . and i do too but cranberries? yeah, at the top of my list for fall winter!! I am so in love with this combination and cannot wait for really seasonal citrus to begin popping up at my farmer's market...like tangerines. For some reason, I can't get enough of the tart cranberries with the tangy, floral tangerines and put them in my muffins, poundcakes and cookies. Thanks for the recipe! Shulie, this is gorgeous and I really want to bake these for breakfast! I have all the ingredients so I might! Thanks for sharing yet another gorgeous recipe! omg these are fabulous ! Hope you're well! Holy yum! These look like a perfect fall breakfast with hot coffee...yum! These are definitely my kind of muffins! Hope you have lots of room in your freezer for these since I think with 4 college age boys in your house, you are going to be cooking up a storm!!! MY OH MY i am love with how deliciously yummy these look! It's rare that I'll crave for muffins, but you definitely made me crave for them! I love orange and cranberries together. They make a perfect match ;-). Sagie's friends are so LUCKY! 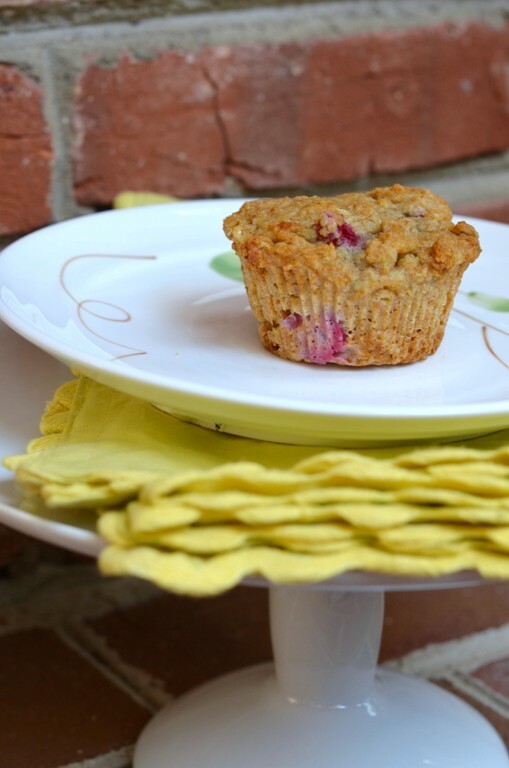 LOVE cranberry muffins and these are definitely different than my recipe. I also love oats and they do pair beautifully with cranberries. Gorgeous pics! And have fun feeding the boys!